Birds and other exotic pets often hide signs of illness until they become life threatening. Routine examinations in conjunction with laboratory testing can detect certain infectious and metabolic diseases in the early stages before they become serious illnesses. Annual examination and preventative health care are recommended to help your pet live a long and healthy life. 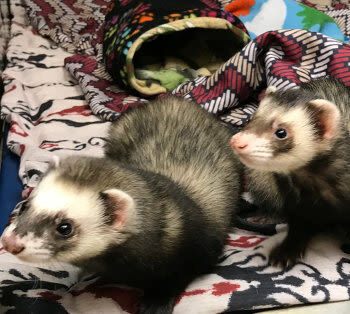 Ferrets should first be vaccinated at eight weeks old, and then every two to three weeks after until they have reached 12 to 14 weeks of age. An annual booster is required in order to provide continuous protection for your ferret into adulthood. After the vaccine injection, your ferret may be monitored for 20 to 30 minutes by our team in the treatment area. 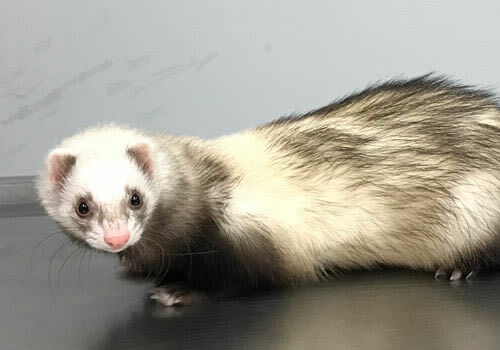 To avoid reactions, we always give your pet ferret an injection of a special medicine that helps their system handle the vaccine effectively. After vaccine injection, the ferret should be monitored for 20 to 30 minutes by your veterinarian.